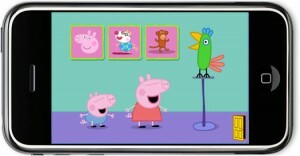 We were sent the New Peppa Pig App, Polly Parrot, from P2 to try out. Madame loves it just as much as she loved the Happy Mrs. Chicken App. It has 3 activities: The Talking Parrot game, Where’s Polly and Feed Polly. However, as a mum, I cast my eye over it and there really isn’t a lot of educational content. However, I do like the ability to be able to collect stickers as they go along. One note for the developers, when you exit the game it would possibly be better to have a smiley face or frowny face instead of an ‘X’ or ‘✔’ to confirm that you want to exit as the little ones really don’t understand these symbols yet. 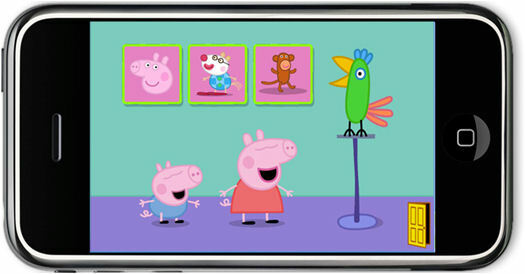 Oo Oli might like this just for the fact its peppa pig, he’s got a thing about the colourful apps at the moment. Next Next post: Stairway to Hell!